Why visit Ruaha National Park? If you want a superb wildlife experience in beautiful scenery and with few people, Ruaha in southern Tanzania has got to be near the top of your list. It’s off the beaten track for many people as it’s more expensive to get to than Selous. Excellent predator sightings; lion, leopard, cheetah - and large elephant populations are the highlights of a diverse wildlife experience. A vast and beautiful park with very few visitors. This is exclusive! 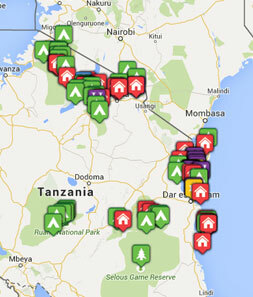 There are only 9 lodges here all offering high quality places to stay. Excellent predator sightings with many lion prides, cheetahs (not in Selous), leopards and even some wild dogs. The Ruaha River draws extra unexpected game from East & Southern Africa, including Grant’s gazelle and large herds of kudu. Ruaha's dry season is roughly May to early November, but wildlife viewing is especially good from July to early November. In the green season from late November to April, game will not be as abundant but the landscape still makes this a very special safari location. Most camps are closed in (mid-March) April and May. 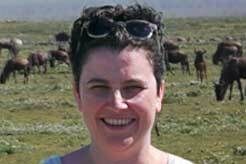 A Ruaha safari: How to do it? Airstrips in Ruaha can be reached by regular flights from Dar es Salaam, and the flight takes about 2 hours. Most visitors combine Ruaha either with Selous or Serengeti, or with Katavi. Then of course you could add on some time by the Indian Ocean afterwards. 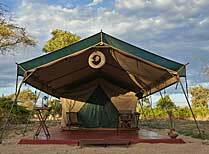 You may choose to stay in a few different camps during your time in Ruaha. Choose Jongomero Camp for luxury in a beautiful, remote location. Kigelia is a small exclusive option, or try Mdonya Old River for comfortable rustic accommodation. 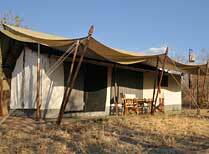 Jongomero Camp is a luxury safari camp in the remote Ruaha National Park. 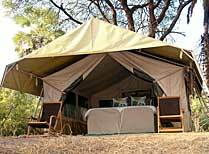 A mobile bush camp which gives you access to wild and remote parts of Ruaha, to be explored on foot and by vehicle. 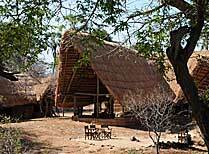 Kigelia Camp is a small camp (max 12 guests) in a prime location in the Ruaha National Park and specialises in game drives and guided walks. 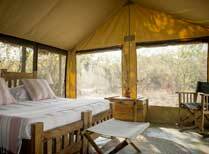 Kwihala Camp is in Ruaha National Park, allowing you to enjoy an authentic wildlife experience without sacrificing creature comforts. Mdonya Old River is a small safari camp with 12 tents spread out over a large area. 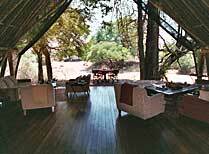 Mwagusi Safari Camp is a small exclusive tented camp on a bank of the Mwagusi Sand River in Ruaha National Park.